2017 is a crucial year in terms of bioenergy future in Europe and Greece. 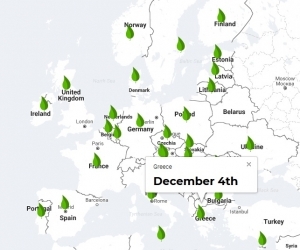 It is estimated that bioenergy can cover the primary energy needs of Greece for 27 days. As the European Union is setting new targets for the Renewable Energy Sources – including policies which are expected to have a considerable impact in Greece too – the Hellenic Biomass Association (HELLABIOM) and the Centre for Research and Technology Hellas (CERTH) participate in the new pan-european information campaign of Bioenergy Days, which is organised by a group of national and international associations and organisations under the auspices of the European Biomass Association (ΑΕΒΙΟΜ). 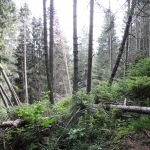 The campaign aims at providing a better understanding of the progress that has been achieved by the European Union and each independent state separately in the development of the prime role bioenergy has to play in the energy transition underway. As far as Greece is concerned, recent year statistics demonstrate that fossil fuels still constitute the main energy source and cover the final energy consumption needs for the first 331 calendar days of the year. 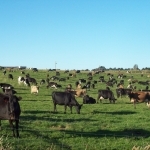 Renewable energy then covers 31 days, of which 27 are covered by bioenergy. 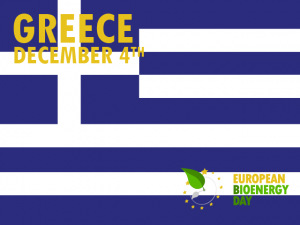 Therefore the 4th of December is the symbolic date that AEBIOM and HELLABIOM have chosen to celebrate the National Bioenergy Day (NBD) of Greece. This date corresponds to the point in year when Greece could fully cover its energy needs solely by bioenergy until the end of year. As compared to the situatiοn a decade ago, NBD-Greece has been moved by 9 days earlier in the calendar year, which confirms the gradual improvement of the country in this energy sector. 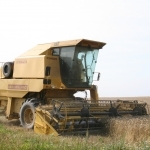 However, taking into account that this year’s European Bioenergy Day (EBD) is celebrated on the 21st of November, one understands there are still many steps ahead to be taken. According to Mr. Anthony Gerassimou, HELLABIOM Chairman of Board, “Bioenergy should become the main pillar of national energy strategy, since it creates thousands of productive jobs among the rural population, while at the same time the electrical power generation stations using biomass contribute as base load units in the decentralised power generation, as well as in the simultaneous utilisation of bioheat in a plethora of applications (e.g. green houses, drying complexes, ginning plants, saw mills, food industries, etc.)”. Mr. Nikos Damatis, HELLABIOM Secretary General mentions that the target for year 2030 should be to move the NBD-Greece within November through the increase of bioenergy contribution in the energy mixture of the country either autonomously or in synergy with other renewables. This target can be achieved by widening today’s biomass sources and by applying innovative technologies. From his side, Mr. Manolis Karampinis, scientific collaborator of CERTH, underlines that Greece possesses a huge unexploited potential of biomass resources, such as tree pruning from agriculture. 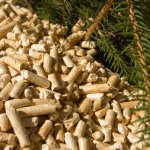 Moreover, he notes that – given over 80% of bioenergy in Greece is being consumed by the domestic sector – a crucial factor of further development of the bioenergy industry would be the application and propagation of certification systems for the quality of solid biofuels used in domestic heating. 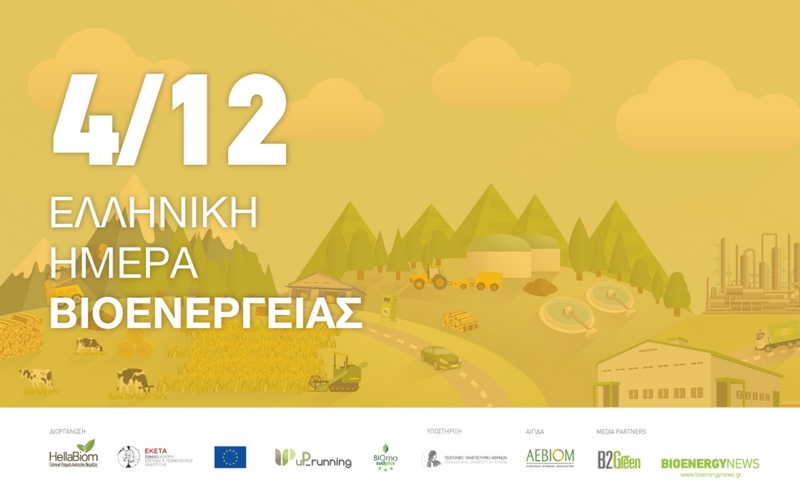 For the celebration of the NBD-Greece, HELLABIOM and CERTH organise in common a Bioenergy Event at the Agricultral University of Athens on Monday 4th December 2017 (09:00-16:00). 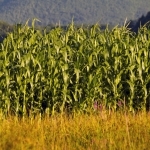 During this event, scientists, company representatives, bioenergy experts and professionals will present the current landscape and the future prospects of bioenergy at national and international levels. This event is supported by the European projects BIOmasud Plus (development of certification systems for Mediterranean solid biofuels) and uP_running (promotion of biomass usage at permanent crops). Both projects are financed by the EU program “Horizon 2020” for Research and Innovation and are implemented in Greece by the Chemical Process and Energy Resources Institute (CPERI) of CERTH. The evening of the same date (Monday 4th December 2017) the Cluster of Bioenergy and Environment of Western Macedonia, in cooperation with CERTH and the University of Western Macedonia, organises a Bioenergy Seminar in Kozani, at the University’s Mechanical Engineering Department. During the seminar, technological developments in the bioenergy and biomass sectors will be presented, as well as relevant progress reports on national level (Energy Communities), as well as european level (Bioeconomy Manifesto). The organisation of the seminar is being supported by the European Project SecureChain (Sustainable Bioenergy Supply Chains), financed by the EU program “Horizon 2020” for Research and Innovation.